If your business or other establishment has windows and you have products or services to promote, you cannot pass up the opportunity to advertise on this surface. Windows are one of the first things people notice when they approach a building. So naturally, window signs and decals are a great way to make a first impression on potential customers. Proportion: Your design should look the exact same when posted on your window as it does in the initial design. To guarantee that this is so, we take note of proportional aspects of your window and what’s being placed upon it so that your logo looks just like the original and fits within the space you have allotted. Vibrancy: Digitally printed window decals are a very vibrant sign option. If you are after bright, colourful graphics that maintain their appearance, our window sign designers can provide exactly what you want. Shape: Our window signs can be made in one large sheet to place on the window, or cut into custom shapes and letters for easy placement. Interior of exterior mount? Signs can be made to stick onto the outside or inside of window (so it faces out from behind glass). Size: Whether you have a very small window to cover or an entire front wall of glass, we can print window signs in any size you desire to allow full coverage of your space. Don’t fret about messing up your window decal application. Air bubbles, misplacement and other concerns are not a worry when our team is around. We are able to provide professional window sign installation and adhesive application so that you don’t have to deal with the hassle. Simply let us know where and when you need your window sign installed and we will come to you wherever you are in the Melbourne area. We promise a seamless and effective installation process that will have your sign ready to greet potential customers. If you need your Window signs in a hurry, Classic Colour Copying can deliver. We are known for our efficient printing services to suit nearly any time requirement. We are also conveniently located in Melbourne CBD and easily contactable by phone or email, so ordering with us is a cinch! Are you looking for Window Signs in Melbourne? Classic Colour Copying is Melbourne’s number 1 choice for digital & sign printing, operating from the CBD with more than 30 years experience. 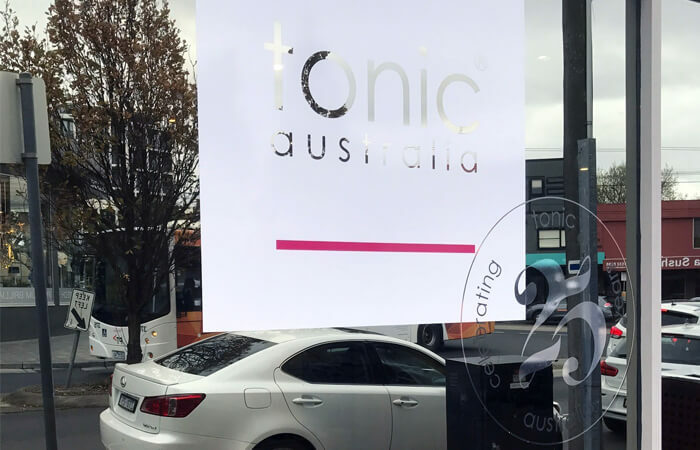 Are you looking for Window Signs in Melbourne?